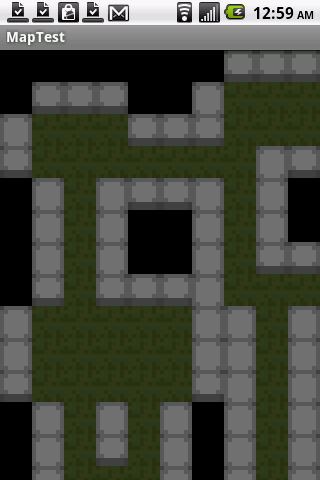 Got some basic BSP-style dungeon generation going tonight. Next step is to add a player character and make it controllable. Might need to wait until Monday, tomorrow is dedicated to schoolwork. Also on the agenda for this week: update website resume/projects/bio pages and get new business cards! I like RPGs. RPGs are cool! 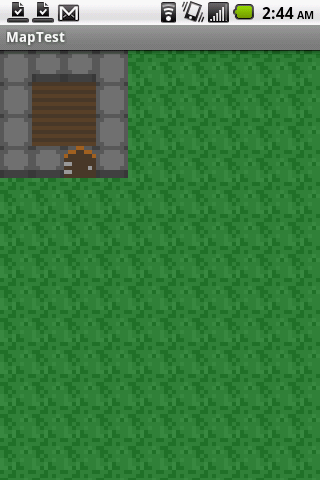 Inspired by Gurk, the 8-bit RPG and How to Write a Roguelike in 15 Steps and my new gig working on Android games @ MokaSocial and, as always, Lord British and my CS580 project I’ve started hacking on a modest old-school open-world closed-dungeon overly-hyphenated RPG for Android. Wish me luck!